During the 1840s, slavery became the symbol and character of all sectional differences. It was the emotional gasoline on the sectional fires. Its moral and social implications colored every issue in terms of right and rights. William Seward, the Republican leader, recognized the fact: "Every question, political, civil, or ecclesiastical, however foreign to the subject of slavery, brings up slavery as an incident, and the incident supplants the principal question." White Americans had been grappling with the slavery problem since the Revolution. But the classic image of the absolutist "abolitionist" was a late development. Organized antislavery in the early 19th century, as a historian has written, "differed strikingly from the caustic brand Garrison and his colleagues would promote after 1830. It was concentrated in the upper South, was conciliatory to the master, and had minimal sympathy for blacks." It stressed gradual manumission, minimal economic disruption, and repatriation to Africa. Its most prominent organization was the American Colonization Society. On Jan. 1, 1831, William Lloyd Garrison published the first issue of "The Liberator" in Boston. Garrison's rhetoric was abrasive and vituperative, and poured out loathing for the Southern slavemasters. And if the drift began before he emerged, he certainly hammered the wedge in with all he had. Unlike earlier "abolitionists," Garrison and his followers insisted that the process of emancipation begin immediately. They were narrow, self-righteous, and morally firm. That's always been an appealing combination to a lot of Americans. The New England Anti-Slavery Society formed in 1832 with the Garrison doctrine at its core. A little over a year later, the American Anti-Slavery Society formed, and gave the abolitionists a national organization. Thanks to the Tappans and other wealthy abolitionists, at least three-quarters of a million pieces of anti-slavery propaganda were sent out by 1838. The mass mailings sparked riots in South Carolina. Anti-abolitionist mob violence, Lovejoy's murder, and the Gag Resolution all helped steer sympathy to the abolitionist cause and created, in the Northern mind, the spectre of "slave power," the unyielding and irrational force that supposedly motivated the leadership of the South. Nat Turner's bloody slave uprising came seven months after the debut of "The Liberator." 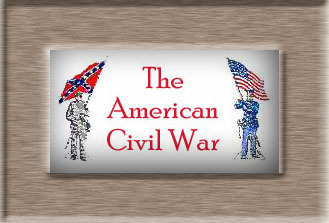 Despite a lack of evidence for a connection, these two events were firmly connected in the minds of Southerners and solidified the specter of a powerful Northern movement that would literally rejoice in the massacre of Southern whites. 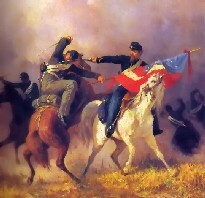 The abolition movement fell apart in 1840 over "the woman question" among other matters of tactics, and the Garrison wing further lost credibility when it (ironically, considering how things turned out) embraced "disunionism" in 1844 -- the notion that the free states should withdraw from the union and have nothing to do with slavery. Most Protestant denominations in the early 19th century seemed to regard slavery as not consistent with Christianity, but they were tepid about it. As the conflict became more acrimonious, the Methodists and the Baptists split over it into northern and southern branches. The Presbyterians were already in a schism over a different theological matter. But the abolitionists were always regarded with great disdain by the traditionally pious folk who made up the majority of America. Their flirtations with other causes, such as free love and socialism, made them anathema. They were obviously guilty of sins such as allowing Lucy Stone and the Grimke sisters to address mixed-gender audiences. Their women sometimes wore bloomer pants and smoked cigarettes. "The white is the superior race, and the black the inferior; and subordination, with or without law, will be the status of the African in this mixed society; and, therefore, it is in the interest of both, and especially of the black race, and of the whole society, that this status should be fixed, controlled, and protected by law." You may call that speech insidious and odious. Today, it is so, and perhaps that means it was also so in 1856, when Sen. Toombs of Georgia spoke it. But it is also true that the assumptions in his speech were obvious ones to most Americans. Toombs wasn't speaking to an audience of fire-eating Charleston secessionists. He was speaking at the Tremont Temple in Boston. There are assumptions behind the common view of 1850s America that seem to amount to a double standard. It seems to regard the movement of non-slaveholding settlers into the western territories as a natural state of things, and the movement of slaveholding settlers into those same territories as "expansion," driven by some class interest. This is the view of the Republican Party, which put forth its candidates on a platform of slavery "containment." The Northern movement into the west was in many cases calculated and subsidized by special interests such as the New England Emigrant Aid Society. And many Southern families who brought a few slaves into Kansas were simply Americans looking for a better chance in life. The Southern states had as good a claim to share in America's future as the Northern ones. Regiments from the Southern states fought in the Revolutionary campaigns in New Jersey, New York, Pennsylvania (I have yet to read of New England regiments defending Charleston or Savannah in 1780). But they felt themselves being cut off from it and forced down into inferiority. They did the bulk of the fighting in the war with Mexico, which brought many of these new territories into the nation. If you peel back this slave-holder vs. anti-slavery fight over Western territories, you again meet a clash of economic interests. Why did the North fight so hard to prevent slaveholders being allowed to carry their institution into Missouri or Kansas or other western territories? I'd answer that question by asking another one: Why would a textile mill worker in Lancashire, England, undertake the expense and hazard of a voyage to America, only to go to work on the same mule, for the same wage, in an American mill? Because cheap land in the western territories offered him the prospect of making just enough to quit the factory and set himself up as a farmer. Hamilton, in his 1791 "Report on Manufactures," anticipated this: "Many, whom Manufacturing views would induce to emigrate, would afterwards yield to the temptations, which the particular situation of this Country holds out to Agricultural pursuits." That's why New England mill owners resisted the expansion of slave labor and cotton plantations into the Louisiana Purchase territories and the land acquired from Mexico. Immigrants didn't flock to Alabama and Mississippi, because the plantation system that had been created there didn't provide the lure of cheap land for family farms. If Kansas and Nebraska had turned into Alabama and Mississippi, that would have cut off an essential inducement to immigrants, who gave the Northern factories cheap labor. In reality, the lure was usually just a tease. A fraction of the immigrants to Northern mill towns eventually made it west and set up as farmers. The rest cycled from one row of tenaments to another, from Lowell to Montreal to Pittsburgh to Albany, dragging families and debt with them. The wrangling over slavery in the territories, like the tariff, was part of the bigger picture of one region trying to break out of the original partnership compact and impose its will, its might, and its values on the whole of America. This seems a natural development to us, now, but only because it has been so effectively done. What comes to pass always seems foreordained. In the 1820s and '30s, using money from the export trade and tariffs, Eastern states aggressively built railroads, canals and conventional roads -- extensively aided by the national government in the form of land grants and stock subscriptions -- to capture the Midwestern trade away from New Orleans (and each other). And as her share of the national bargain, the South got what? She got John Brown. Murderous psychopaths armed and outfitted by the industrialists of the North, sent South to incite race war. Abolitionists gloating about the likelihood of how many white families would be wiped out in a slave rebellion. The people of the South were aware that, at the time of the Revolution, the upper South and Virginia especially was the wealthiest region of North America. And long before the Civil War, this region had sadly declined. The Virginia state convention of 1829 estimated the state's lands were worth only half what they had been in 1817. The landed gentry economy that produced Washington, Jefferson, and Madison was all but extinct. The North saw this decline, too, and piously blamed it on the baleful influences of slavery. Yet these had been slaveholding regions long before the decline, and in fact slavery was, in part, what built up that early prosperity. The South looked at that decline and saw it in large part as a product of a defect in the American union, which distributed political power too much on the basis of population. (When I call this a "defect," I'm trying to elucidate the thinking of many Southerners in 1860, not the thinking of me today.) The Southerner looked at the decline of Southern prosperity and the rapid rise of fortunes among what had been in 1787 shabby communities of fish oil merchants in New England. And he looked at the fact that, in the first House of Representatives, Virginia had 10 members and New York six. And that, after the census of 1860, the proportion would be Virginia 11, New York 30. And he thought about all the tariff bills his state had been asked to support, to protect the infant woolen mills of Connecticut, the rum distilleries of Massachusetts, the iron and paper mills of Pennsylvania. He thought how in some cases the Southern representatives had objected to these tariffs, which forced them to pay more for certain goods, but in many other cases his representatives had voted for the good of the whole country. And he thought how the Northern powers, whenever possible (as it seemed to him, and as he was told by his newspapers and his political leaders), had used their hegemony in Washington to not only line their own pockets, but to weaken and undermine the South's economy, including the slavery that was intimately woven into it. And he saw the speeches and pamphlets of the Republicans printed in his newspapers. And he heard the certain claims of what their election would mean, in accellerating what had already been happening. And he decided he had had enough. You don't have to agree with it, but you have to try to see it. 1. Ronald G. Walters, American Reformers 1815-1860 (revised ed. ), Hill & Wang Pub., 1997.